I love listening to podcasts while I knit, and when the news gets too overwhelming, I listen to them while I drive as well. I have quite a few I like to keep up with. Here are some of my favorites! This first batch of podcasts have a similar format. 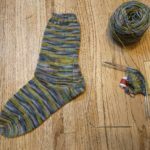 They are chatty podcasts with one or two hosts who talk about what they are working on mixed with some advice and/or inspiration and some talk about their non-knitting lives. All of these have active Ravelry groups so there is a lovely community you can join with each one. The Knitmore Girls is my favorite in this category. I love how Jasmine and Gigi, a mother-daughter team, mix in lots of advice and wisdom into their podcast. They do a regular review section, which has enabled me more than once to get some really great books! 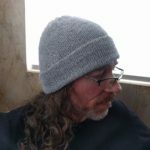 The Yarniacs were my first podcast because they came to speak at our knitting guild! I had no idea there were even knitting podcasts before I met them. Prairie Girls Knit and Spin is another favorite. I always feel the hosts are the alter egos of me and my best friend if we were from Nebraska instead of Kansas! Down Cellar Studio Podcast is a new favorite of mine– Jen lives a very different life than me, but I really enjoy her creative spirit! The Two Knit Lit Chicks host a podcast that is both knitting and book reviews. Another mother-daughter team that I really enjoy listening to! This second batch are podcasts with more specific themes and an interview format. These are podcasts that are more informational and keep me inspired in pursuing knitwear design. Yarn Stories is a new favorite for me. I’ve been absolutely loving hearing interviews with the many indie dyers and yarn producers and learning more about the yarns I use. Stitchcraft Marketing focuses on interviews with people in creative industries. It’s a great resource for anyone trying to make money in the crafting market. The Sweet Georgia Show also has an interview format and goes in seasons. She has hosted some very interesting guests. Those are the podcasts I keep cued up right now! What are your current favorites? 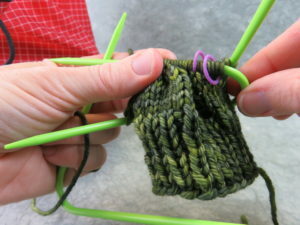 Two of three needles in before beginning a round. In November at Vogue Knitting Live in Seattle, I came across a new DPN style by Addi called FlexiFlips. These are similar to the Neko Strickespiel curved DPNs that I reviewed early last year in that there are only three needles in a set. The difference is that instead of being in a fixed angled shape, the FlexiFlips have a short cord between two metal needles. This means they can go from straight to a tight angle and back as needed. 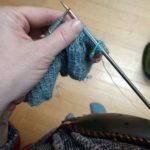 They are pretty spendy– around $24 from most retailers for a single set of three needles– so I purchased a single set of size 1 needles for hand knitting socks. I’m about half way through making my second sock with the needles and I can say that I will definitely use them again for another pair. Their flexibility gives them a distinct advantage over the Neko needles. 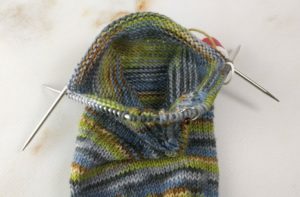 I am having little to no problems with laddering and the flexible shape of the needles makes them easier to adjust as you work. Like the Magic Loop method, these needles only require two changes in a round, rather than the three or four you’d have with regular DPNs. Unlike Magic Loop, you won’t need to manage a long cable and these are very easy to tuck into a purse or pocket. You may have to adjust the directions to you pattern a bit if it’s not needle agnostic, but if you are used to doing this for Magic Loop already, it shouldn’t be a problem. 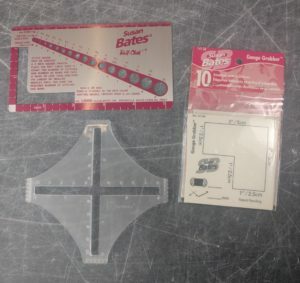 Patterns that are designed for Magic Loop can easily be completed with the FlexiFlips. Beginning the round with the third needle. For the fastest speed on the leg and foot of a sock, I like using a very small eight or nine inch circular because there’s no needle changes at all, but the small circulars have very short needle lengths and they can fatigue my hands more quickly than DPNs. The FlexiFlips have a longer needle length overall so they are easier on my hands and I don’t have to carry an extra set of DPN’s for heel flaps or toes as I do with the small circular. My one criticism of the FlexiFlips are the needle tips. 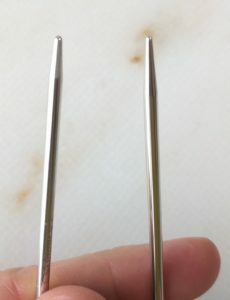 They have the design of one blunt needle and one sharper point. Each time you have worked all the stitches off a needle you have to consciously think about how the empty needle goes back into your right hand so that the preferred tip is ready to use. I prefer pointier tips in general, and especially can’t think why I would want a blunt tip in a needles sized for sock knitting. 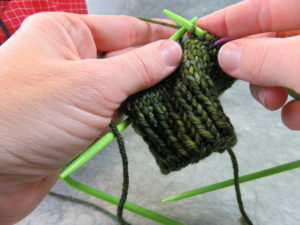 Sadly, when working back and forth for short rows, that means one tip is going to be blunt and the other sharp if you’ve be orienting the needles the same way each time. Either that, or you have to slip the stitches so that you have the pointy tip going in the right direction for both needles as you do your short rows or think ahead during the last round before the short rows. Many patterned stitches use both needle tips to manipulate the yarn, and again, I find having to always have the left hand tip be my non-preferred style to be a nuisance. 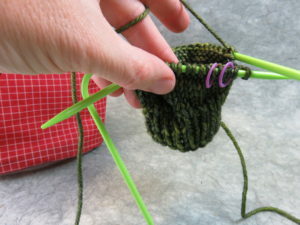 If I could get a set with sharp tips on both ends of the needles, I’d be a much happier knitter! Blunt tip, left, and pointy tip, right. Overall, I’d recommend these needles. They combine the ease of the Magic Loop method with the compact feel of a small circular or DPNs. 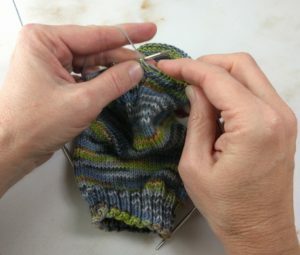 If you do a lot of complex patterning on socks, they might not be the best choice because of the tips, and they won’t work for larger circumferences like that of an adult hat. They are comfortable to use and work well for socks or close fitting sleeves. Friday afternoon, I sat down on the couch and realized that I was surrounded by knitting bags! Here’s what’s on the needles in this first week of February. 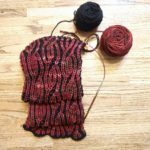 Last month, I started working on the CustomFit version of the Featherweight Cardigan. I’m using Knit Picks Alpaca Cloud Lace yarn and I’m using this project to learn to knit on a knitting belt! I’ve got about five inches of the back completed and I’m getting faster. My goal is to be able to walk and knit using the knitting belt, but so far, I can just meander between the kitchen and the living room. Last year at Stitches West, I took JC Briar’s class on Beginning Brioche. The handout included a chart for us to practice our increases and decreases and shortly after the class I got some Malabrigo Rios in Black and Jupiter and started the chart as a scarf. As Stitches West is coming up again at the end of the month and I have another class with JC (this time it’s Slick Set In Sleeves), I thought I’d try to finish it before the show. I’m continuing to make progress on my Wynne Shawl by Sarah Jordan. I started this as part of the Indie Designer GAL on Ravelry, but realized after Christmas I couldn’t finish it by the deadline and that its long rows of garter were so great as a knitting group project. I bring this with me to my Saturday knitting group and to guild meetings and it will get done eventually. attern to try out the Addi Flexi Flip needles I got at Vogue Knitting Live in Seattle. I really like the pattern and it makes a nice heel that’s good for a high arch, but is easier than working a heel flap and gusset. 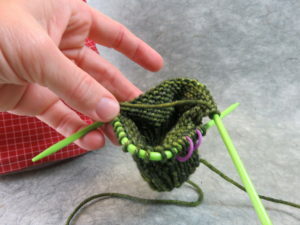 The needles are similar to working with Magic Loop and a bit easier than three or four DPNs. Finally, I’m working on a secret knitting design that should be complete in the next few months or so. More details on that when it comes out! On the CSM, I’ve completed a few more pairs of socks and made a hat from a double layer of laceweight yarn. You can find the details of how I did that on my Ravelry project page.